Easy to use, just build a door any size and also work with trap doors and normal door. 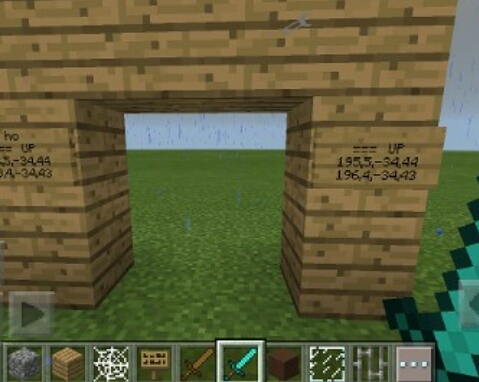 Then tap the left top corner then tap the right bottom with a wooden sword or if you want to build a hidden door just tap the top then the bottom. Then place a sign and tap the sign with the sword. Ok last step tap the sign with a blank space or with a different sword.